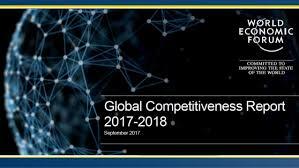 Saudi Arabia has been ranked second in the world, right behind the USA, on the Road Connectivity Index published in the Global Competitiveness Report (GCR) 2018. The ranking, a good news for the Saudi government, has been praised by the kingdom transport ministry, which noted the Gulf country now boasts a road network of more than 68,000 km. The ministry also pointed out that it had completed 55 road projects during the first half of 2018, Trade Arabia reports. Some 124 road projects have been so far restructured and rescheduled. The GCR, a publication of the World Economic Forum (WEF) also ranks the Sunni-dominated kingdom 30th worldwide on the Road Quality Index. On this index, the kingdom has gone up four ranks compared to its ranking last year. Written by: KanelkaTagba on October 19, 2018. Posted by KanelkaTagba on Oct 19 2018. Filed under Gulf News, Headlines. You can follow any responses to this entry through the RSS 2.0. Both comments and pings are currently closed.